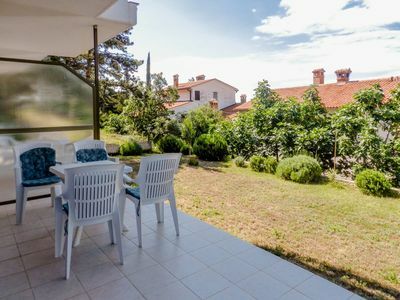 This luxury holiday home (185 m2) with swimming pool in Makarska district Veliko Brdo offers accommodation for 8-10 people in 4 bedrooms, each with its own bathroom. 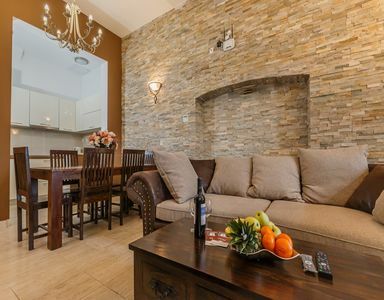 This house and its location is ideal for families and friends who want to spend their holidays together. 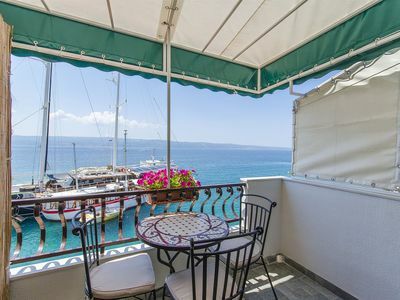 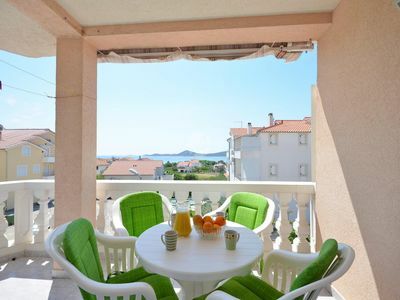 House offers spectacular views over the Brac Canal and islands Brac and Hvar and panoramic views over Makarska town. 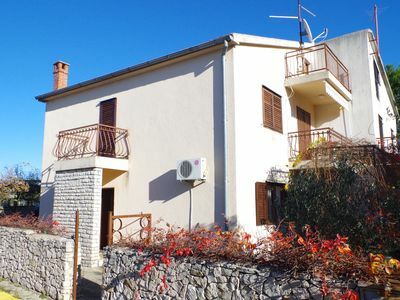 This modern holiday home is situated on a hill, in the village Veliko Brdo, near (only 3 km) the town of Makarska. 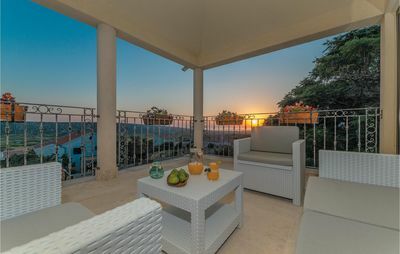 It consists of two units connected by external stairs. 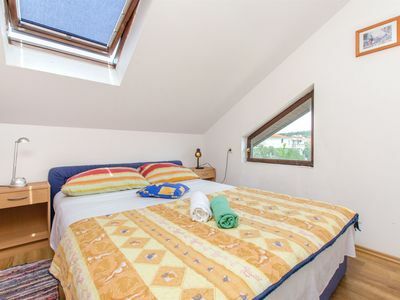 One is on the ground floor and the second is on the first and second floors. 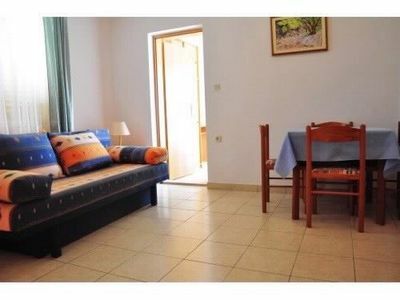 There are four bedrooms in the house, all with double beds, two of which each have a single bed (sofa) for a child. 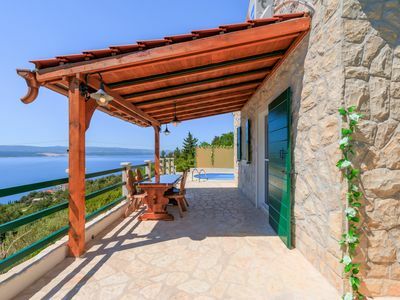 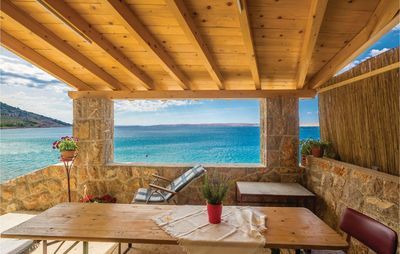 The house has a swimming pool and several spacious terraces with panoramic views of the sea and the islands of Brac and Hvar. 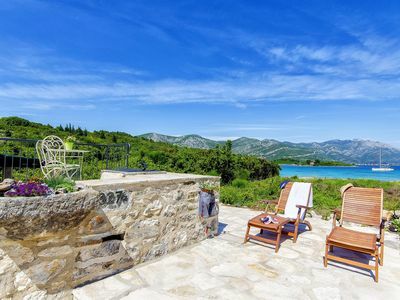 The 2 km long is sand and pebble beach Beliebtt in families with small children. 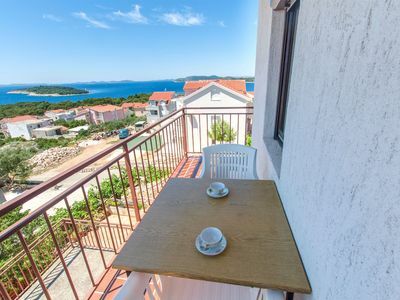 Activities: mountain biking, fishing, boat, car, scooter, bike rental, surfing, climbing, canoeing, cycling, boat ride, hiking, jogging, water, sports, massage, spa, fitness, cosmetics, sailing, shopping, diving, paragliding, Bunge jumping, trekking, trips to the islands, Biokovo Nature Park, Krka National Park, Split-Trogir, Dubrovnik, Hvar, Omiš, Međugorje, etc.